Before you start the day, take a look at the major events in the country that are likely to make headlines today. From PM Modi's rallies in Jammu and Uttarakhand to Supreme Court decision on quota for economically weaker sections, here are some of the most important news events scheduled for today. 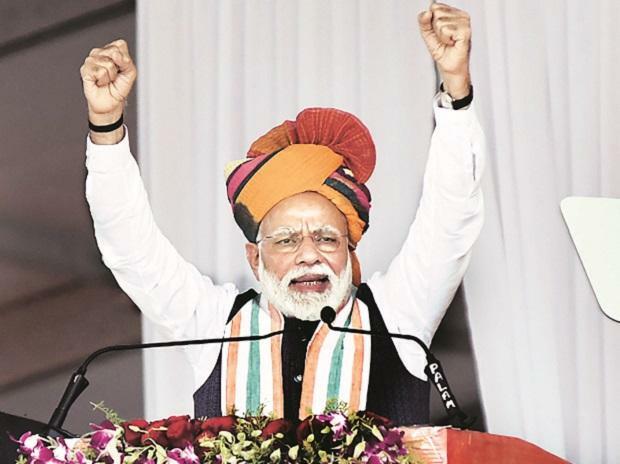 Prime Minister Narendra Modi will address election rallies in Jammu and Uttarakhand on Thursday. Notification for the third phase of Lok Sabha polls in Uttar Pradesh will be issued Thursday, an election official said on Wednesday. Expiry of March derivative contracts is due on Thursday. 4. PFC to pay entire Rs 14,500 cr for REC acquisition today. State-owned Power Finance Corporation (PFC) on Thursday will make the entire payment of Rs 14,500 crore to the government for acquiring 52.63 per cent stake in REC, a source said. Rebel BJP leader Shatrughan Sinha, who was denied an election ticket from the Patna Sahib constituency in Bihar, is likely to join the Indian National Congress today. A special CBI court had posted the hearing in the anticipatory bail pleas of businessman Robert Vadra and his aide Manoj Arora for March 28. Priyanka Gandhi is expected to visit Rae Bareli today after starting her campaign in Amethi on Wednesday. The party has planned a 50-km road show in Faizabad-Ayodhya on Friday, during which she is expected to address two meetings, Uttar Pradesh Congress Committee secretary Rajendra Pratap Singh told PTI. The Supreme Court on March 11 said it was not in favour of passing an order at this stage to refer the issue of 10 per cent quota for economically weaker sections across all classes to a Constitution bench. A bench, headed by Chief Justice Ranjan Gogoi, had said it will hear the plea on March 28 i.e. today and will consider whether the matter is required to be referred to a Constitution bench.